Sure independent travel has some perks, but guided adventure travel tours by Boundless Journeys allow for incredibly rich experiences you would not find on your own. On Boundless Journeys adventure travel tours you leave the details to us, and immerse yourself in seeing, hearing, and feeling the experience. Boundless Journeys tour guides make it interesting. They are constantly researching and thinking of clever ways to explain historical background and current happenings in an area. Our guides have their hand on the pulse of the region. If a new building is going up, they know about it. If a place has just been renovated, they will tell you why and how. Living local to the areas in which we travel, Boundless Journeys guides know the enchanting alleys and shortcuts. 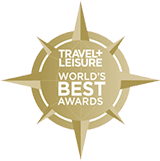 They can recommend the best of the best when it comes to local eateries, off-the-beaten path hikes, or cultural experiences. Another advantage of Boundless Journeys adventure travel tours is the helpful information, stories and anecdotes travelers share with one another. The group itself provides an avenue for learning, and often many laughs. 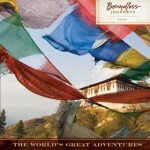 Boundless Journeys adventure travel tours are typically 6-12 guests. These small group experiences provide you the opportunity to get to know your fellow travelers, your guide, and the region in a remarkably intimate way. Boundless Journeys contributes positively to the communities we visit—striving to preserve traditions, cultures, and fragile natural habitats. So next time you are looking to immerse yourself in the true essence of a region, join a Boundless Journeys adventure travel tour. You will not be one of many hopping off a bus, nor will you be on your own wondering where to catch the next bus. Your Boundless Journeys guide will introduce you to the home he or she loves, and it will come alive for you in a way you never imagined. With a diverse collection of locally guided, small group itineraries around the world, Boundless Journeys offers “The World’s Great Adventures.” The adventure trips for 2-16 guests are active, ranging from leisurely cultural explorations and wildlife safaris to challenging trekking in remote regions ? with plenty of easy to moderate walking and sea kayaking in between. For more information, please call 1-800-941-8010 or visit https://www.boundlessjourneys.com.